These last few weeks have been crazy nuts! In a good way, but nonetheless, crazy. To be honest, I am sitting here recalling what happened and I am having a hard time remembering it all. 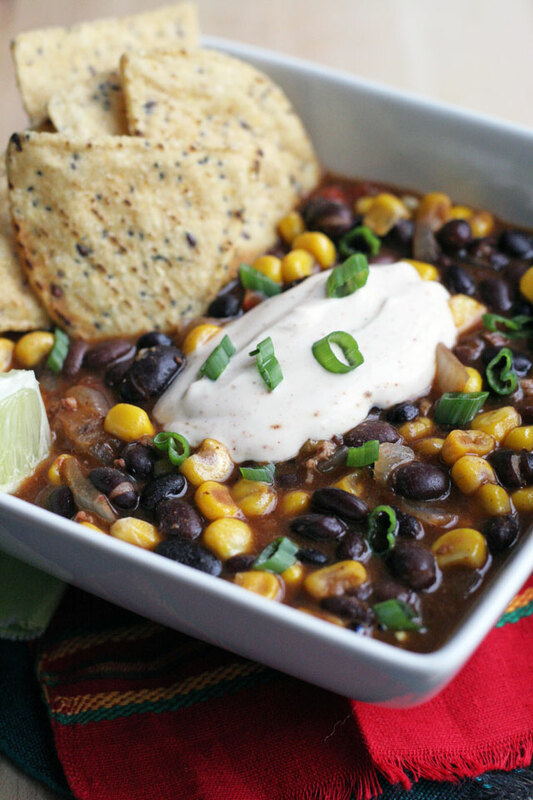 I do remember making this Chorizo Black Bean Soup, only because I wrote it down while developing the recipe. This is the prefect dish for a crazy week, lazy week, or you just want a good soup kinda week. I recall so many meetings over coffee, so not so bad. Lunch with my blogging cohorts, media dinners, dentists appointments, family moving, again. We are in the middle of re-branding the site, designing, planning to take over the world, and do you know how much time that takes? A lot! The weather has also been crazy. Cold, warm, sun, 70 degrees, cold again, now rain, but tomorrow sunny and warm again! So making this soup was a no brainer. 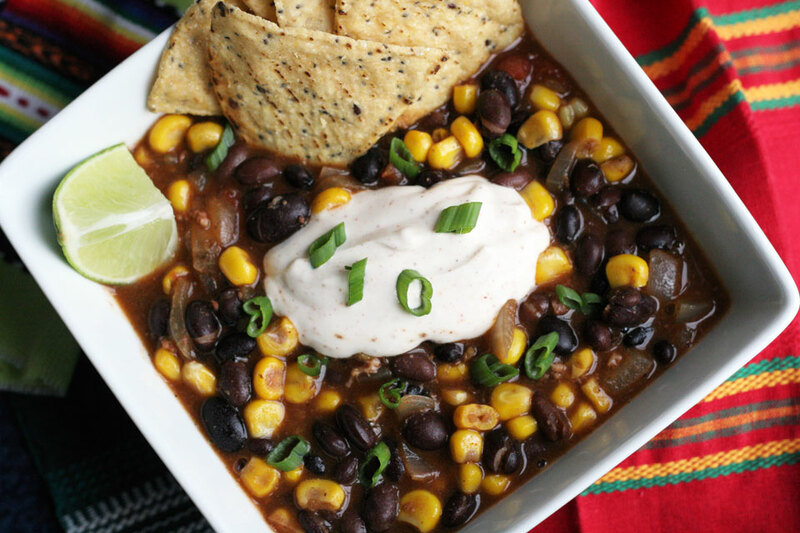 Especially because I love chorizo and black beans, so it makes perfect sense to put them together in a soup. Spiced lime crema: (optional) add 1 teaspoon freshly squeezed lime juice, and 1/8 teaspoon chipotle powder to the 1/2 cup sour cream, mix to combine. 1. Place the pot over medium heat, add the olive oil, heat until shimmering then add the onions. Cook for 5 minutes until translucent. Add the chorizo, break up into large chunks with a large spoon. Cook for 10 minutes, stir occasionally. 2. Add the chopped tomatoes, and tomato juice. Using a wooden spoon scrape the bottom of the pan to remove the brown bits. Add the black beans, stock, salt, and pepper. Stir to combine. Lower the heat to medium low, leave uncovered, and simmer for 30 minutes. In the last 5 minutes of cooking, add the corn, and stir to combine. Serve with a dollop of sour cream, and green onions. I also served seeded quinoa tortilla chips. You could serve this with crackers, chips, or this amazing honey cornbread recipe.